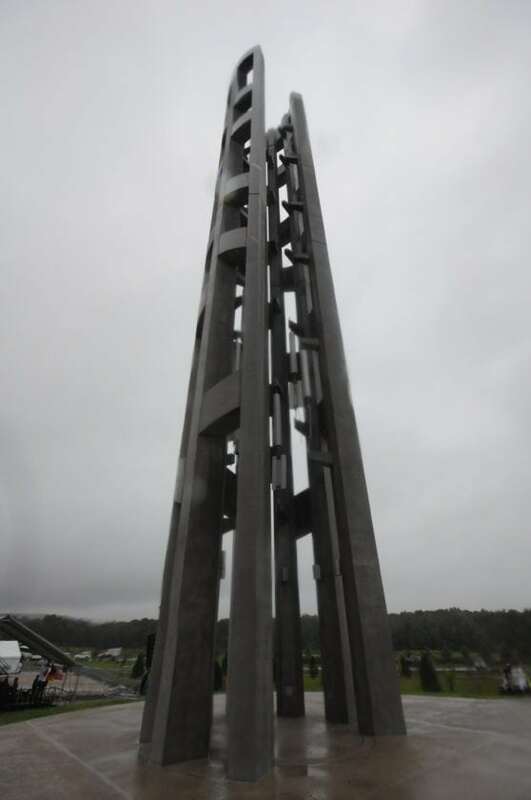 JOHN S. NEVILL JR./Sun-Gazette An exterior view of the Tower of Voices recently unveiled in Shanksville. SHANKSVILLE — The heroism of airline passengers and crew who died when hijackers crashed their plane into a Pennsylvania field was remembered Sunday with the dedication of a concrete-and-steel tower that will ring with wind chimes for every one of them at the spot where they fell to earth. The roughly 93-foot structure represents the final phase of the Flight 93 National Memorial. Each chime generates a distinctive sound, and rows of trees that ring the site symbolize sound waves. 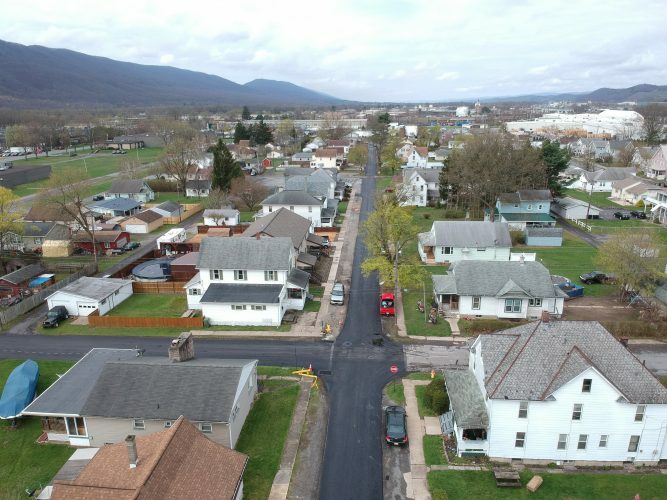 The national park at a the crash site, about 2 miles north of Shanksville, also includes a memorial plaza, dedicated on the 10th anniversary in 2011, and a visitor’s center that opened three years ago. They range from 5 to 10 feet long, weigh as much as 150 pounds and are tuned. As some passengers apparently tried to storm the cabin, the hijacker at the controls then rolled the plane, trying to throw them off balance, before the aircraft became inverted and crashed at 563 mph on the edge of a reclaimed strip mine at 10:30 a.m.
A 17-ton sandstone marks the impact site, located within a 44-acre fenced-off area of the field where crash debris landed, referred to as the “sacred ground.” Access to that part of the park is limited to family members of the passengers and crew. Four 40-foot containers of remaining debris from the crashed airplane were buried there during a private ceremony on June 21.